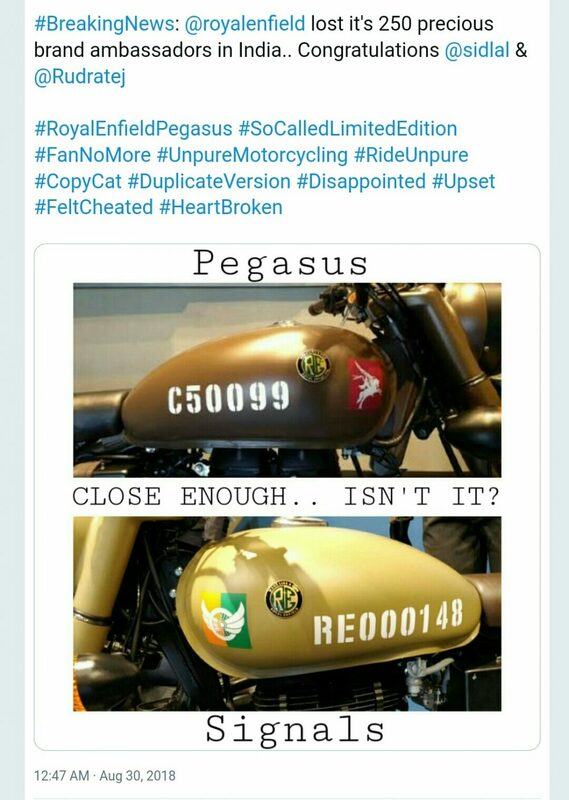 Royal Enfield Classic Pegasus Edition was considered the most sacred example of exclusivity by the owners until the launch of Classic 350 Signals happened in India. The latter is now blamed to copy all the exclusive elements of Pegasus as visual differences between both does not exist for a layman. 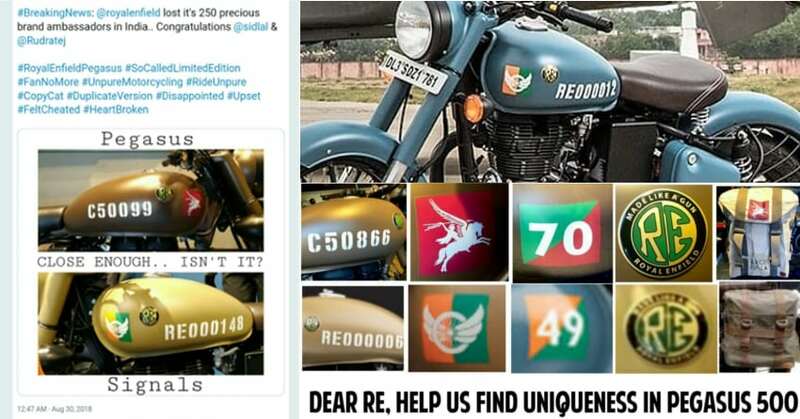 The owners who spent INR 2.16 lakh (ex-showroom) on the limited edition variant are feeling cheated with the use of similar sticker pattern and stenciled number on Classic 350 Signals. Also, the biggest nightmare for them is the availability of dual-channel ABS on a bike that costs INR 1.62 lakh (ex-showroom). They complain that spending INR 28,000 over the Classic 500 Stealth Black now has no value for them as spending INR 1.88 lakh would not have hurt them up to this extent. That huge difference in price brings them just two additional bags in the name of the equipment. On the other hand, spending INR 14,000 over Gunmetal Grey brings almost similar levels of styling and dual-channel ABS to the buyers of Classic 350 Signals. 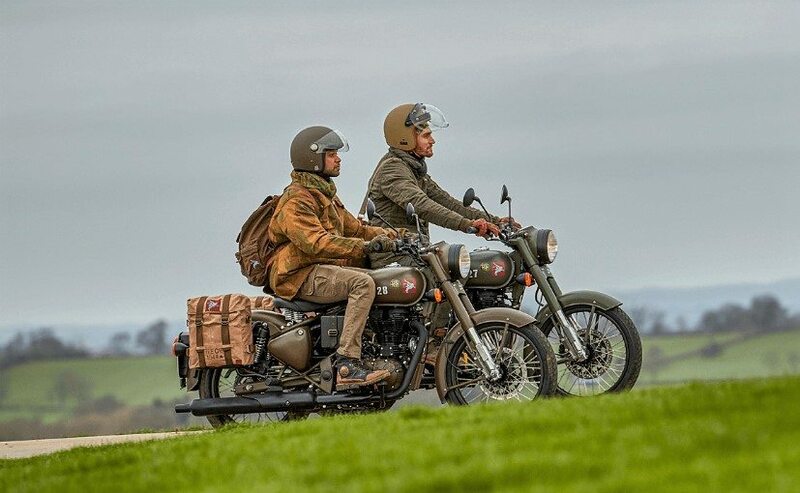 The bags shown at the launch event were part of the accessory package, available separately for an additional cost on the Classic 350 Signals. Still, the high price of Pegasus Edition does not justify its worth anymore. 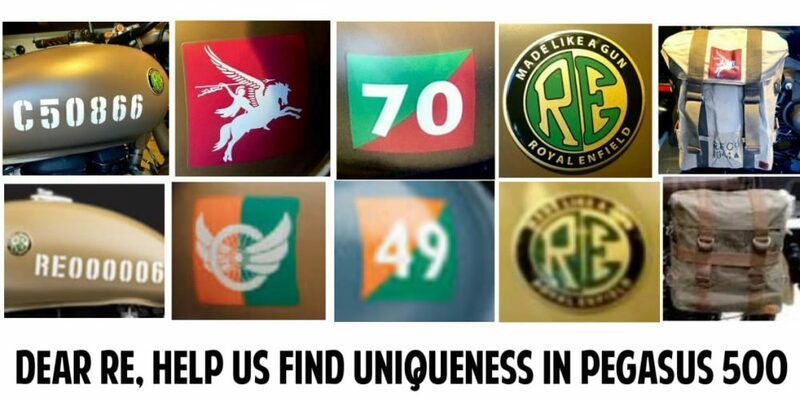 The buyers are raising a question that if ABS was ready with Royal Enfield, why did they not offer the Pegasus Edition with the safety feature at this price. Still, it would have left them with INR 14,000 to charge for the bags and exclusivity. 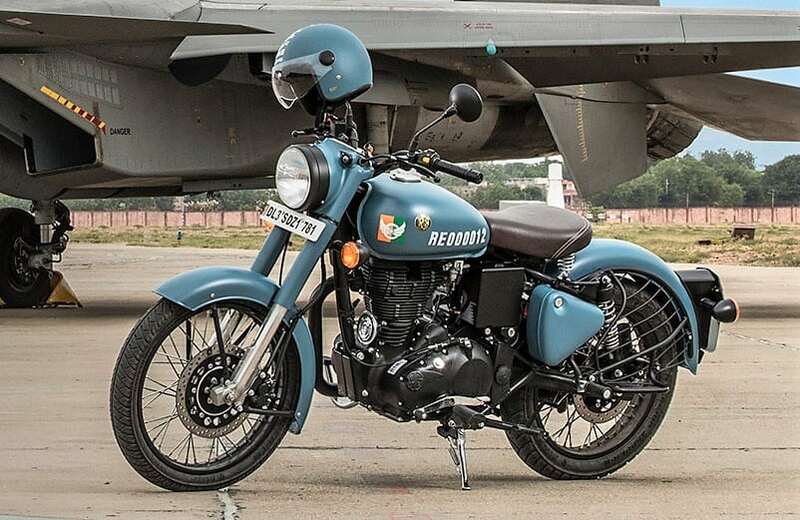 One of the owners is yet to take the delivery of his Pegasus Edition but, he feels that Royal Enfield just turned his excitement into depression. 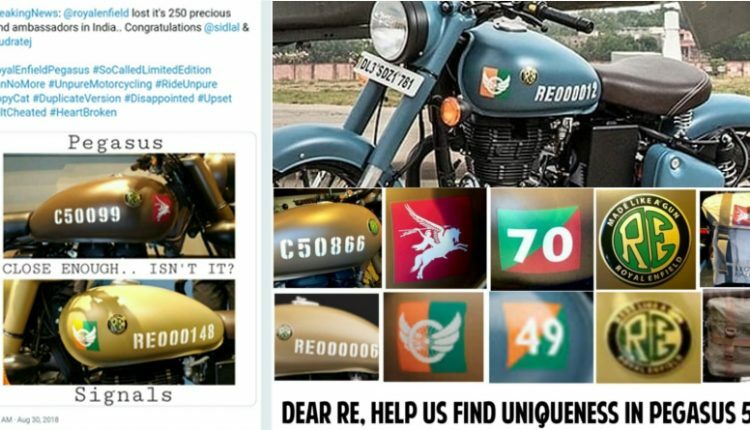 The facts expressed in this article were shared by Tejas Shah (C50120) and Mohan Reddy (C50116), owners of Royal Enfield Pegasus Edition.